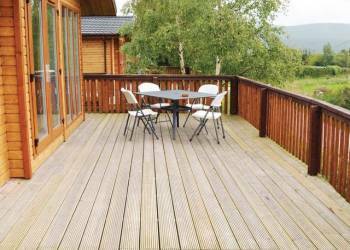 Mountain View Lodges provide gorgeous, spectacular views in the heart of Royal Deeside. These lodges are perfect for romantic short breaks or for a luxurious family holiday. Deeside Holiday Park is a tranquil retreat set in the southern valley of the River Dee ideal for "getting away from it all". And yet, the park is only a few miles from the lively city of Aberdeen - "the granite city" with its sparkling stone architecture and its international culture as the Energy capital of Europe.